In our uber-connected world, pressing a button on the steering wheel to make a phone call is second nature for many. Using our cars like a phone and storing information in data systems is so convenient! Unfortunately, though, as security experts are warning, syncing your phone to your car can put you at risk for a data breach. Here’s what you need to know about the dangers. There is sensitive information stored in your phone—and your car. 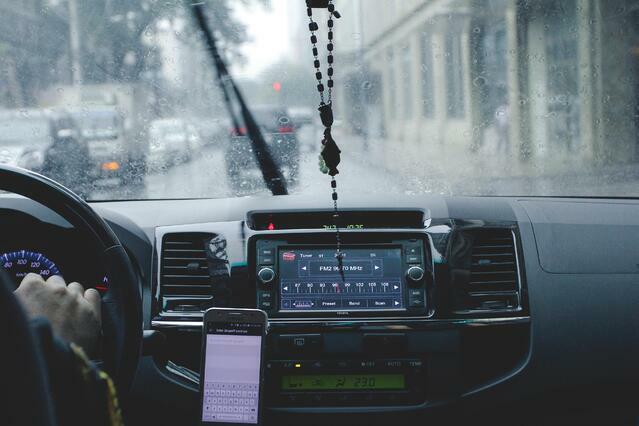 When you connect your phone to your car, you’re using your vehicle to store loads of personal information that’s very easy to access. A hacker can quickly scrape your data even if your phone is nowhere in sight. All they need to do is connect their own phone to your car’s Bluetooth system and they’re in! If syncing your own vehicle to your phone poses a security risk, that risk increases tenfold when using a rental car. You may have once picked up a rental car and found the device information of the last 10 renters still stored. That means, if you were to sync your own phone, just as you have observed, the next renter will have your information at their fingertips. When you leave your personal information in a rental car, the next renter can use the information to access your financial accounts, rob your home or even steal your identity. Sure, you can delete your device’s information from the car you rent, but even that can still be hacked. To be completely safe, it’s best not to sync your phone when renting a car. Also, if you frequently use rideshare programs, like Uber and Lyft, your driver might allow you to sync your phone to the car’s infotainment system as a courtesy. This, too, can put your information at risk. So, if a driver makes this offer, you’ll want to politely decline. Never sync your phone with a rental vehicle or a rideshare car. Delete personal information that’s stored in your vehicle. Adjust your phone’s settings to the strongest security levels. Restrict the amount of information your vehicle can access on its own, and don’t allow it to store or access information without re-syncing to your phone.